I guess I’m never going to be allowed to complain to myself about having a dull client when BBDO México made this visually intriguing ad about a simple lined notebook. I love it. The tagline says : All good ideas start with paper. I agree. All companies want a piece of the free publicity that social networking brings. Twitter, Facebook and bloggers have the ability of getting the attention of a lot of people. Recently, companies have been trying to find new ways to exploit this new media and its influence. Moonfruit has been the best example so far. They managed to get themselves on the trending topics by simply offering 10 MacBook Pros to one random person per day that mentioned moonfruit in their tweets. It managed to get them a huge amount of attention and free press. Some have been victims of it. Yesterday i saw that one of the trending topics was “AT&T is a big” and another one was “steaming, hip of failure.” Of course, I had to click and it led me to an article that trashes AT&T and encourages Apple to not renew their exclusivity contract for the iPhone with AT&T. Hopefully, Starbucks won’t get trashed for their pathetic attempt to get positive press. Thier offering a free pastry on the morning of July 21st to anyone that buys a beverage. But by morning they mean opening time to 10:30am. They are obviously trying to increase sales and entry into their stores, but maybe they should try harder. Ben and Jerry’s has a free cone DAY and one day a year Dunkin Donuts offers free iced coffee from 10am to 10pm. Everyone could get a free cone or a free iced coffee but only those that print out the paper or show it to the barista on their handheld device will be able to get the pastry. I think braving those bound-to-be-crazy lines is certainly enough. I wonder if Starbucks will get the publicity and sales rise it desires. I personally, don’t think a couple of hours is enough. And they definitely owe loyal customers more than 2 or 3 hours of a limited amount of free pastries. I’d love to see this concept in action. 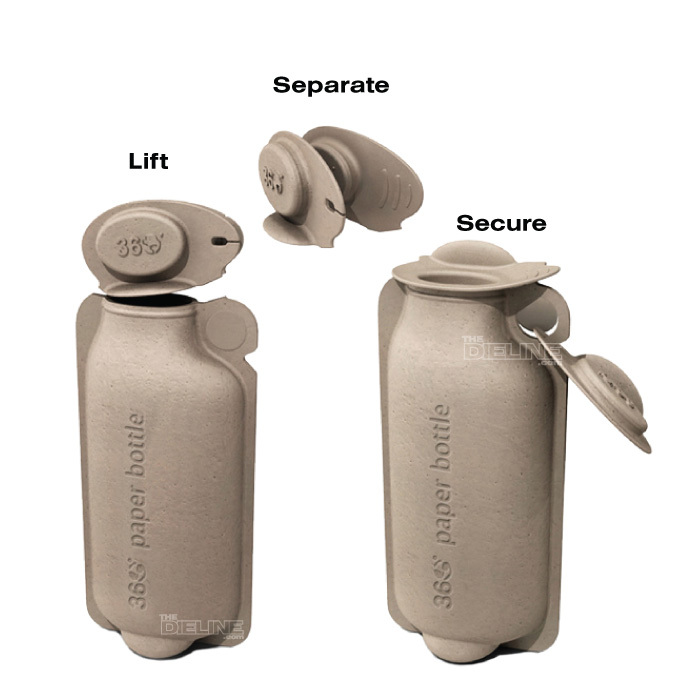 It’s a paper bottle to replace the plastic bottle. Though it’s still not as environmentally friendly as drinking regular tap water or using your own reusable thermos it offers users an option other than the typical overused plastic bottle. Yes, it has its shortcomings (it still needs to be recycled, paper production takes a lot of energy, people won’t catch on…), but at least it’s proof that people are thinking the right way. Each day, Americans throw out 60 million plastic bottles. Only 14% actually get recycled—meaning 86% become garbage or litter. We looked at this as a radical problem requiring an equally radical solution. Could we design a container that would leverage sustainability, be easy to transport, and enhance the consumer’s drinking experience? 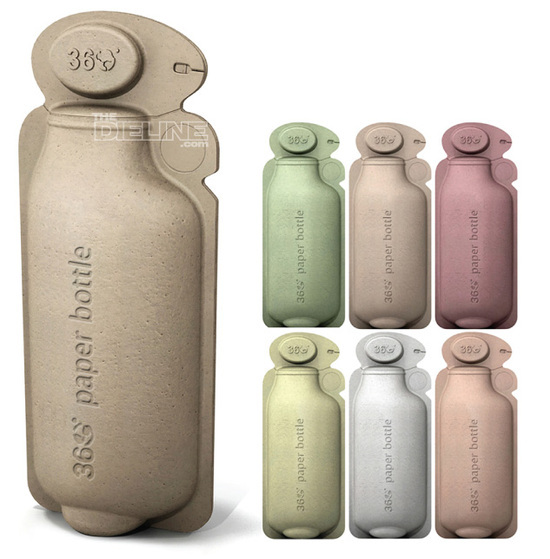 The 360 Paper Bottle is a sustainable vision of the future. It is the first totally recyclable paper container made from 100% renewable resources. 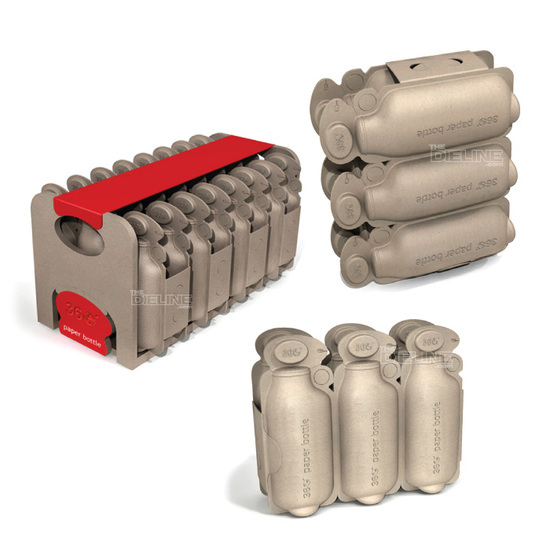 Versatile in its range of consumer applications and made from food-safe and fully recyclable materials, it decreases energy consumed throughout the product life cycle without sacrificing functionality. It is paper packaging that stands up to all liquid categories. This is a project from BrandImage that still needs a branded home in order to work. I won’t lie. Tweeting, like blogging, makes me feel important. I like it when I get many clicks on my blog or when i get a new follower. I like knowing that someone is interested in what I’m saying. (It might sound egotistical, but I’m jsut saying what others aren’t). Everyone that’s on Twitter follows and likes being followed, but how far would you go to get new followers? Tweeters are now able to buy more followers. uSocial, a social media marketing company based in Australia, has launched a paid service to track down followers for Twitter users. Followers can be bought in blocks of 1,000 for about £50. The company finds potential followers by searching through Twitter to discover areas of common interest to match people more closely. uSocial then send these potential followers a message, alerting them that there is someone on Twitter they might want to follow. The potential follower then decides whether or not to follow that person. As a marketer, I see the appeal of getting your word out to thousands, especially at 50p per person. But I would rather have a few followers that sought me out and actually follow what i say then many that aren’t that engaged. Personally, I’d hate emails telling me who to follow. I like the suggestions that come from friends, but I’d find these oddly invasive.